Many of you may have wondered sometime or the other, how nice it would be if your Computer can write with your handwriting. Most of you may think its not possible as there are billion of guys each having his/her own handwriting. But its possible. 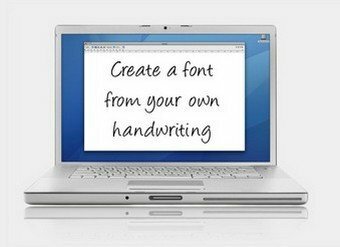 Using FontCapture, you can turn your handwriting into a font and can use it as any other font in your PC for writing anything. For doing all this stuff, all you need is a printer, a scanner and of coure your own handwriting. First of all, you need to download a template fileÂ (PDF) on your PC. Then print the file and you will then need to fill the template with your own handwriting.Be sure to use some dark color pen or marker with careful attention paid at the space provided to fill the different letters on template. After you filled the template, scan the filled template. Upload the scanned file not to Fontcapture. That’s it. Fontcapture will process the file and then provide you with the font file which you can use for free. Th font can be used on both Windows and mac.